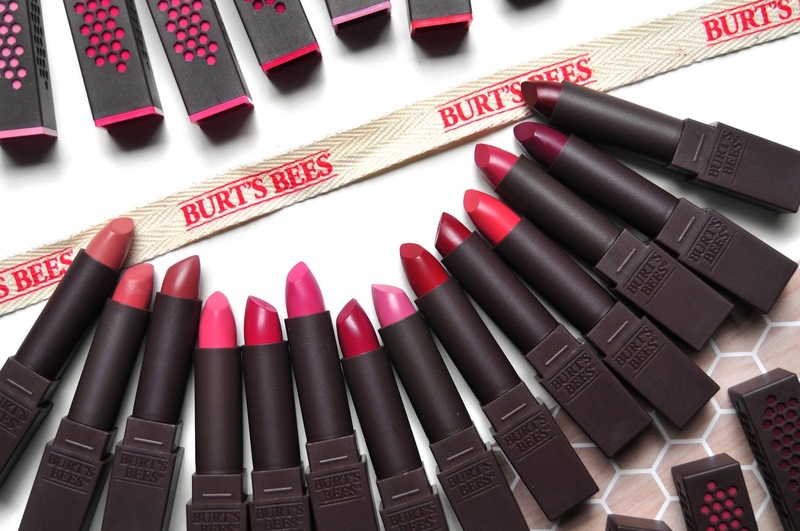 I'm a sucker for a good lipstick, so when I found out my favourite lip care brand, Burt's Bees, was releasing a collection of lipsticks I was ecstatic! My lips crave moisture and although I love wearing bright lip colours, I struggle with the whole flaky lipstick situation. This new range from Burt's Bees is super moisturising and feels like you're putting on lip balm rather than lipstick. I've been rocking a red lip a lot recently and Burt's Bees Scarlett Soaked is my colour of choice. Which red lipstick is your go-to? The colors are gorgeous. My last lipstick I bought was from Lancome of the Lupita Nyong'o collaboration.